The First Bank of the United States was necessary because of the debt the government had accumulated in the Revolutionary War. At this time, each state had its own unique form of currency and monetary values were easily confused. Alexander Hamilton established the bank with the goal in mind of a solution to the war debts and the creation of a unified form of currency. 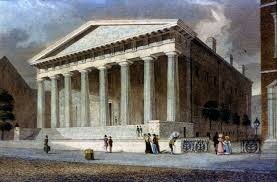 The First Bank was built in what was the capital during that time period, Philadelphia. 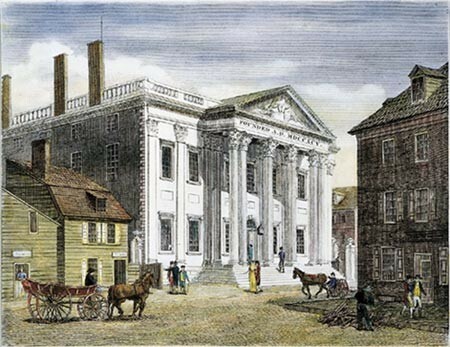 The Second Bank of the United States was established with the same authority and role as the First Bank. The Second Bank however, was not originally as successful as the First Bank and suffered from fraud and poor organization/leadership. It took quite some time for the Second Bank to be under stable conditions and forever was doubted by certain American leaders such as President Andrew Jackson. The Confederate government established their own unique paper currency in efforts to pay for the war however it had no true value. Confederate paper money was seen similar to an IOU note, a promise to pay up in the future. State governments struggled to pay for their expenses and tried to make up for it by printing more and more money. The did not consider that the more money they had, the more expensive things would be and also goods and services would become more rare since the people had more money. The picture below is of a one dollar bill from North Carolina. It had a simple design, a documented number and a picture of the Roman goddess of wisdom, Minerva. It is interesting how in this time period the Roman gods and goddesses made appearances in monetary aspects of America. The National Banking Act of 1863 was created in order to establish a united, national banking system. Its responsibilities would include organizing and distributing federal war loans and maintaining a national currency. Congress decided to carry out the National Banking Act in efforts to have solution to the financial crisis the Civil War had caused. Subtopics: The National Banking Acts of 1863, 1864, and 1865; Correspondent Banking; The National Banking System Couldn't Control the Money Supply. The Federal Reserve Act was created with the intentions to create a sense of economic balance and control. The Federal Reserve Act brought a series of policies, leaders and laws that influenced the American monetary system. Did the failures of banks cause the Great Depression or did the Great Depression cause failures of banks? 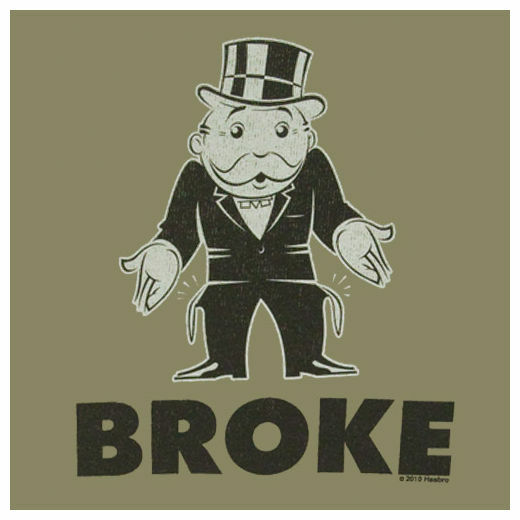 According to 'Bank Failures During The Great Depression' (thefreatdepressioncauses.com), by 1933, 11,000 of the 25,000 American banks had gone out of business. With banks going down left and right, Americans struggled to get loans, lost their businesses, and went further into a national crisis. Learn more about The Great Depression of the 1930s, including: bank failures, causes, effects, facts, and comparisons to today. 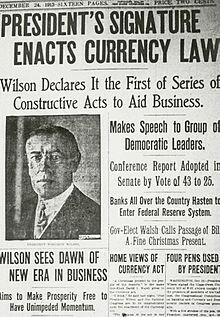 The Glass Steagall Act or the Banking Act of 1933 was established by Congress in efforts to reform the American banking system. This act was created to make banks safes, more efficient, more effective, regulated and controlled for the overall well-being of the American finances. 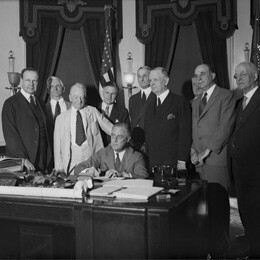 The picture below shows President Roosevelt signing the act. Banking Act of 1933, commonly called Glass-Steagall - A detailed essay on an important event in the history of the Federal Reserve. The 1970's was a time period of poor economics in America. The stock market was practically nonexistent in that less people desired to participate in stocks than ever before. The economy was at a stand steal and unemployment was on the rise. Inflation was eventually the result of the money policies of the Federal Reserve. Interest rates were low but the government realized that increasing the interest rates would aid in the relief from this inflation. The following picture shows American people out and about spending the money they had because of such low interest rates. Biting the Bullet in New York City. 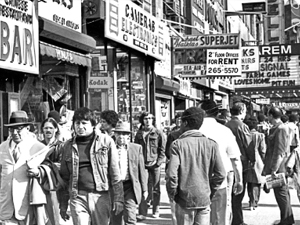 Nearly forty years after Ford told New York to drop dead, the city is still here—but forever changed. In 1982, the Garn-St. Germain Depository Institutions Act gave thrifts more opportunities to invest in loans, especially real estate loans. This change along with a few other economic changes in the 1980's led to significant alterations in the regulation and balance of the economic American environment. These alterations led to an inordinately unstable financial state of America in that the prices of real estate and energy was at an all time low. The Gramm Leach Bliley Act made it a requirement for finance institutions to explain and document their processes and practices of information sharing. These companies had to declare whether or not they share private information, what information they share and to who in order to have a clarified security in terms of personal information.